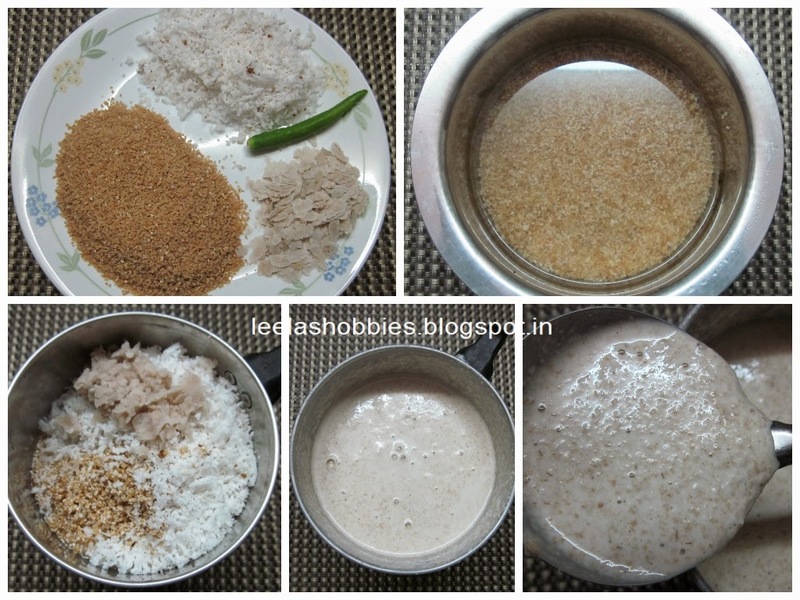 seeing a packet of broken wheat on my dining table,my brother-in-law gave me an idea of making two instant easy recipes 1) dosa and 2)sweet appam..now i am posting the recipes which he made by himself..i use this broken wheat only for upma..so when i heard,made the dosa immediately and wanted to tell you that it was super when i tasted..its very healthy too..want to share the must try recipe with all of you..and if you like,the credit goes to him only:))..
soak broken wheat in some water for 15 mts then drain off the water..wash poha in little water and squeeze out..grind broken wheat and poha with other ingredients..when grinding,add required quantity of water to get the right consistency..see last pic in collage..
heat tava,apply little oil and spread the dosa flour and then just flip over..
a golden color dosa is ready for breakfast..
tasty with dry coconut chutney,sambar and even with sugar especially for kids..about10 dosas can be get from the above measurement..
Only the Wheat is Broken ! thanks sir for your hilarious comment! you are certainly very busy with your cooking these days Leela, afraid I am rather lazy in that driection but living on my own I have an excuse!